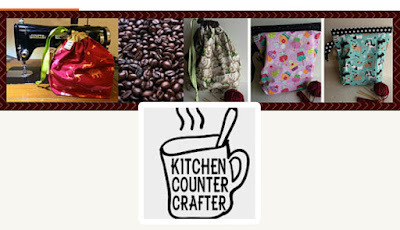 Thank you to our sponsor for February-March, Kitchen Counter Crafter. Fill your project bag pantry w/ Kitchen Counter Crafter by JavaJennie. Project bags range in size from demitasse to caffeine buzz to contain notions to sweater quantities of yarn! Check out her etsy shop & enter the Ravelry group thread to win a $25 gift certificate from her shop. Thanks to Jennifer Lassonde and Studio in the Green for donating prizes. Many thanks to Jennifer Lassonde for her World of Difference shawl pattern, which is our first prize for the #batterupkal17. The #treatyoselfkal17 continues through the end of March. 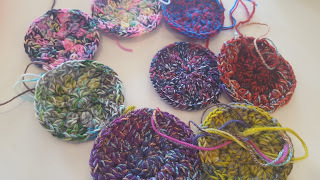 Go see the ravelry group and find the KAL thread for rules and to enter. The #batterupkal17 is coming up sooooooon! Sock yarn blanket based on Shelly Kang's pattern, project page. Sock pattern prototype by me in Spartickes Dyes "Will & Grace" in the "Belle" colorway, project page. Tamdou by Melanie Berg in Sun Valley Yarns, project page. Some fun KALs coming up to think about. Of course, we have our baseball KAL (the #batterupkal17) starting in April and running through November. Hello Grace podcast/me planning a KAL.